12 April 2017 by . Dearest Brothers and Sisters; we will continue with our discussion about the humanities of other planets. I would like to begin by saying that everything I tell you is just a short summary; I cannot present everything I have received because it would become too long. If you are interested in the details, if you want to have deeper explanations, you may find them in the books I have written, particularly two books: “Beyond the Great Barrier”, published in 2008 by the publishing house Luci dell’Esodo, and “Riscrivere la storia – L’Universo e i suoi abitanti”, published in 2014. There you will find everything that I will say and that I have said before in detail. In the second part we will face the situation that evolved especially on Earth; we now want to turn our eyes towards the Earth to see what happened here and what kind of relationship there is between the Earth and the other humanities. As we said in the previous programme, the situation of man on Earth, after the fall due to original sin, was really problematic and difficult. Man found himself in an objectively difficult and subjectively even more difficult situation. Man had regressed to the state of almost an animal and had lost almost all prerogatives with which he had been created. Don’t forget that man had originally been created immortal, harmonious, perfect, and able to stay in tune with the angels and to rule creation in the name of God. The man of the Earth had lost all these prerogatives. Moreover, due to original sin death too entered the universe and all humanities were affected by it: the faithful, the rebellious and the undecided. Consequently, the man of the Earth really needed to be helped in one way or another. God did not want to abandon him and has never abandoned him. Thus, the first thing He did, was to send the angels and the brothers and sisters faithful to God to Earth, that is, the brothers and sisters of the high universe, to give lend us a hand in the beginning of our path, otherwise man would have remained at a primordial state. The faithful brothers and sisters came to our planet landing in different places and trying to gather all the men existing on Earth to teach them at least some basic things; first of all, a language, then, of course, how to defeat illnesses and certain malformations, and to stand in an upright position, because man was not even able to do this. Thus, a sort of school was set up on Earth, of the highest levels because crews of men and women of the highest spiritual, scientific, medical and priestly levels were sent to Earth to help man and creation to recover. This came from God because He obviously wanted to recuperate all His children as He still does now. What did Lucifer do in the meantime? Lucifer certainly didn’t stand idly by as on Earth he had his principle allies, as he still has today, that is, a humanity that has consecrated itself to him. You can see very well that many people on Earth adore Lucifer; they adore him like a God, in the place of God. Therefore, Lucifer could not allow God to strip him of his power on Earth. He wanted this humanity to belong to him; he wanted all of us to be his slaves. Thus, Lucifer turned to the planet Rael, the planet that in the plans of God should have helped the weaker humanities; yet, in the end Rael also allied with Lucifer and a very sad time began for the humanity of the Earth. The men of Rael also arrived here; they arrived here bringing their knowledge and beginning with the corruption of man in every way. Rael was also interested in using the humanity of the Earth, the men of the Earth, who were very inferior to them, as slaves, as a work force, as soldiers, as labourers, so to speak. Rael brought a lot of knowledge to the planet Earth; a lot of knowledge that God allowed to arrive on the Earth because that too, nevertheless, brought some improvement. However, Rael noticed immediately that the humanity of the Earth, the way it was, was no use for its purposes because it was too backward, too rebellious, too obstinate and truly at the primordial level. Thus, they began to make experiments to improve this race; experiments that, besides, also caused much genetic contamination. But the men of Rael did not stop there, they wanted more; they also wanted creatures that were not completely human which could have worked as slaves for them, and the phenomenon of hybridisation began. You have certainly heard of the Reptilians, the Greys or of other humanoids. All that began already then because the scientist of Rael, pressed by Lucifer, began to create hybrid races in laboratories by taking a part of human genetic heritage and a part of the genetic heritage of animals crossing men and reptiles, men and birds, men and insects. Why? Because that would have guaranteed them a race they could have totally dominated, which was inferior and would have endured long journeys, different temperatures on different planets, etc. These hybrids simply served as a kind of robot, as we would say today, or anyway as manoeuvrable beings. In the meantime also the faithful brothers were continuing their work on Earth, but they noticed quickly that the humanity of the Earth was uncooperative, very unwilling to submit to the laws of God, by nature inclined to disobedience and rebellion. The men of the Earth were rather attracted by Rael and its promises than the faithful brothers who would rather show and request faithfulness to God from the humanity of the Earth. The faithful brothers left this planet very soon. God withdrew them. They returned to their high universe still continuing to watch over us, for these brothers and sisters have always watched over us on God’s order. In the meantime Lucifer carried on doing what he wanted with the humanity of the Earth, so to say, because these visits continued. Rael too, left at a certain point, but in the meantime many other of its allies came to Earth; many other planets that theoretically were less evolved than Rael approached this planet with Rael’s support and then began to rage here. Traces of their passage are visible in almost all religions such as the gods venerated as men, as half snakes, etc. etc. You can see that these figures of men, of hybrids, are very present in our cultures. This situation lasted a long time until the universe witnessed another great event which determined a rapid turn for humanity: the coming of Jesus Christ on Earth. The coming of Jesus Christ on Earth has opened a completely different scenario: first, because Jesus revealed the true God to the Earth; He paved the way for the return to the true God; with His sacrifice He also removed the wound of original sin setting man back into the right relationship with God. Careful, though: not everyone, but those who wish it; thus, if I refuse Jesus Christ, I refuse to be redeemed, to be baptised; if I refuse to enter this redemption, the sacrifice of Jesus is, I won’t say in vain, but not effective; it is unable to do everything it should. At this point Jesus Christ has founded the Church on Earth, that is, the people of Christ, the people who should have lived according to the divine laws, according to the Gospel, evangelising the Earth and not only that, evangelising also the universe. Here the mandate Jesus gave to the apostles was very clear: all peoples of all planets of the whole universe should have been reached by this announcement, especially, those of the low universe which were rebellious to God. You may wonder how some fishermen of Galilee, primitive men, could carry out an evangelisation of this kind, accomplish such a great work. Obviously with the help of the brothers faithful to God, who would put all their knowledge, their science, their technology at their disposal to help the Church of the Earth to fulfil the service of evangelisation. You may ask me: why does the Gospel not speak about this? It has been explained to me that a part of Jesus’ preaching was intended for the masses of people, but another part of His preaching was reserved for His apostles, His most intimate circle, because there were many more particular revelations which the people of that time would not have been able to understand. However, Jesus explained His apostles very well this aspect, the work of creation, what happened through original sin and the presence of the faithful brothers to. After Jesus’ ascension at the beginning of the mission of the Church of the Earth God had planned a meeting between the faithful brothers and the early Church, which took place after Pentecost. I was told that the faithful brothers visited the apostles, the disciples, that is, a restricted circle, in order to put themselves at the disposal of the rising Church for the evangelisation to help the Church so that it could do the path quickly, to enable them also from a scientific and physical aspect to face such a mission. However, God did not want to force things, God never forces things; He wanted the people to join, not only the apostles; the apostles were ready but it was necessary that the whole Church, the whole people of Christ, joined; that the whole people was aware of this mission and ready to realise it. Therefore, the apostles had to take some time to begin to show this reality also to the Church, to those who, in the meantime, became part of the growing Church. Especially St. Paul, after his conversion, was specifically instructed by God for his mission to the pagans; the pagans were not only those on Earth but also those in the universe. St. Paul had a very clear view of this. Unfortunately, the Church, as a whole, was not ready for this kind of mission; it was not ready to welcome this reality and God understood it. He understood the difficulties of the Church and left this mission, the beginning of the universal mission, to another time. He allowed the Church of the Earth to consolidate, to begin its path here, waiting to reveal this reality again at the right time. This reality faded more and more along the centuries until it was not mentioned anymore. After the apostles had died and the first generations had passed, this reality was already ignored by the Church. But God has not left the universal mission aside. God continues, He wants the Earth to be aware of what is happening in the universe and to give testimony. Lucifer too continued in the same manner, that is, he kept visiting the Earth through his allies; he gave them more and more knowledge so that the humanity of the Earth, that is, some men and women along the centuries, have continued the relationship with other rebellious humanities. How? Through mediums and a great medianic activity, until a real alliance between the Earth and some other planets was established, that is, an alliance between a part of the humanity of the Earth, which holds the power on this planet, and some planets of the low universe: a Confederation was made. It is still operating and has the purpose of gathering the elite of all the planets of the low universe to make an alliance with Lucifer; this alliance should take power over the whole universe and then extend step by step over the other universes. These two plans, that of God and that of Lucifer, face each other continuously. God wants to reunite the whole humanity in Christ and take it back to the original purity in a new creation made according to a new man who is redeemed in Christ. On the other hand, Lucifer has the same plan to attract to himself the whole humanity to establish his kingdom, which is contrary to God, a kingdom of darkness and death. Now we are still in this situation: the Earth is divided; on Earth there have been great saints along the history; not the whole humanity of the Earth is rebellious, luckily. On the contrary, there have been, and there still are, great saints on the Earth, many persons, many souls who should have incarnated on planets faithful to God and have accepted to incarnate here; at the same time, many men of the Earth have converted to Jesus Christ; they have made a path of real holiness. Therefore, the humanity of the Earth is divided between light and darkness, between holiness and wickedness. We can see it; here on Earth there is a continuous war between good and evil. What has happened and what is the current situation? Let’s have a look at our time. Now the situation is this: God has provided for the evangelisation of the universe to continue regardless of the Church because the Church – we mean the Christians but in particular the Catholic Church that is the most representative of the Christianity on Earth – despite many repeated invitations by God and the fact that the faithful brothers have been sent also to visit some popes, has not managed to give God a response and, thus, did not want and could not begin with the evangelisation. Once again, God did not put any pressure but entrusted the task to evangelise the universe to the faithful brothers along with the ones who serve Christ on Earth leaving the task to evangelise the Earth to His children on Earth, and the task to evangelise the rest of the universe, that is, the middle and the high universe, to the faithful humanities. In 2013 the evangelisation of the middle universe began. It lasted our whole solar year, and in that year the humanities of the middle universe responded generously and converted to Jesus Christ. They have given their response to God; they have united with the faithful brothers, with the faithful humanities, and a great people has formed that is made of the faithful humanities and those of the middle universe forming now a single humanity; a new humanity, a new people, because a new humanity is forming; a humanity that is no more divided; a humanity that is united and recapitulated in Jesus Christ – this is the great plan of God: to recapitulate all men and all things in Christ. In the beginning of this year, 2016, the evangelisation of the low universe begun and it is still ongoing. The faithful brothers are visiting the planets of the low universe one by one to bring the announcement of the salvation worked by Jesus Christ. It is a difficult mission; it lasts long because the low universe is very insidious, enormous and expanding continuously; the distances are extreme; there are many planets and the humanities are not so benevolent and favourable towards the faithful brothers, especially the planets that have confederated with each other in the last years; they will oppose great resistance. 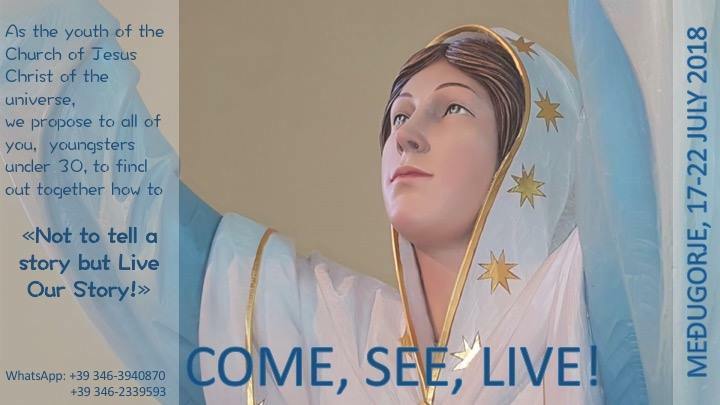 However, regardless of the response of some planets – we do not know exactly how it will take place and how long it will last – the evangelisation will carry on, it will not stop. Probably not every planet will respond, as it happened also in the middle universe, and a great part will remain rebellious to God, but God will carry on anyway. The announcement must be given to all men; in all the parts of the universe Jesus Christ will be announced. Once the evangelisation has been completed, once the announcement has reached all planets, no matter what the result will be, Jesus Christ will come, Jesus Christ will return. Look, the return of Jesus Christ is not something plucked out of the air. The return of Jesus Christ is somehow imminent, even though we cannot know when, but the more the evangelisation proceeds and the announcement is given, time diminishes, because, once it is completed, God will draw the conclusions, He will have to draw the conclusions of human history. On the other hand, you see that here on Earth – as in other parts of the universe where the situation is no different – we are in great danger; humanity is on the edge of an abyss. You can see and hear it; you see what the Earth looks like, in what danger it is. God must intervene; He is speeding up the time. None of us knows when Jesus Christ returns as He said, not even the angels know, no one knows. A lot depends also from the response of the humanities to this evangelization and from the response of the Earth, of the Christians of the Earth. God is preparing a new people also here: a new people who is aware of being in communion with other men of the universe; a people that knows that Jesus Christ has not come only for us, even though He has incarnated here, but that He has come for all. So, when the formation of this people is completed both on Earth and in the rest of the universe, then Jesus Christ will come; He will come to put an end to the history as we know it now in order to begin a new history in a totally new creation. Jesus Christ will gather all His children. In this time God has brought great instruments into play: first of all the angels headed by St. Michael who has the task to precede everywhere the action of men; the Central Nucleus which is a group of men from different planets who collaborate to take this great work forward – we have spoken about this, and there is a lot on this issue on our website and in our books, thus, I will not dwell on it; the faithful brothers who are in action; the new people who is forming on this planet and in other points of the universe. All these instruments are going towards Jesus Christ. All those who are oriented towards Jesus Christ are helped in this time to walk this path of holiness according to the Gospel, according to the laws of God, in order to become part of this people. In the end, when Jesus returns, he will judge the peoples. He will gather those who will have said yes to Him, and He will take them with Him beyond the Great Barrier of Heaven into a new creation, remade in the image of the new humanity, where finally angels and men will collaborate; where there will be no more evil, no more corruption or death. And what will happen to the men who remain rebellious to God? What will happen to Lucifer? They will be left below the Great Barrier in a dimension that was indicated to me as the cosmic nothingness. What does this mean? It means that where the life of God and the love of God are not present, He is not present anymore, and because He is not present there will be nothing, and in that nothingness Lucifer, his demons and all those who now believe to receive great awards will receive nothing. Therefore, brothers and sisters, in this time we are called to decide on which side we want to be; it is our duty, our responsibility, our support for the evangelisation of the low universe, and the way we can help ourselves to become part of a new humanity. Thank you for your patience. Excuse me for the length, but I could not leave certain things out. I thank you and I will meet you in the next programme, good bye. “Rewriting History – Vol. 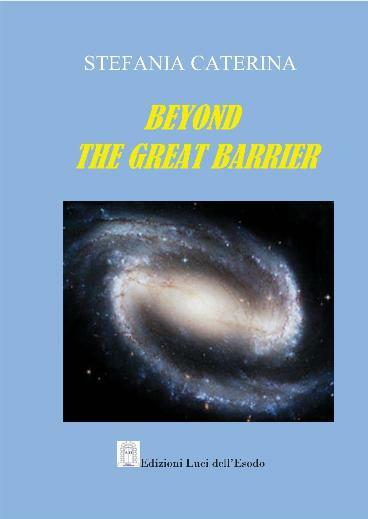 II – The Universe and Its Inhabitants”, parts of this book have been published in the posts of 2014-15 on the website http://towardsthenewcreation.com.